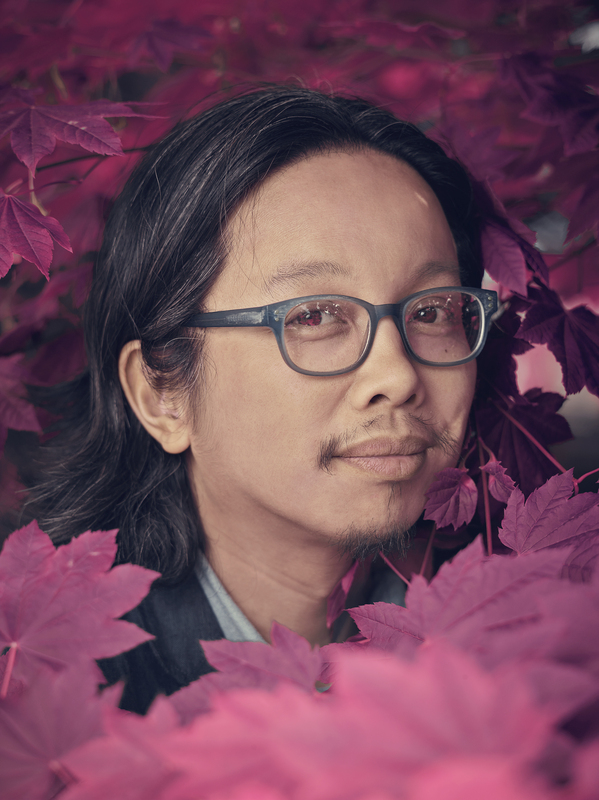 Since releasing his previous album, Fog on the Lens, every few days Tomo Nakayama has pushed his guitar through the X-ray machine, re-laced his shoes and set up behind a microphone amidst the arrivals and departures at Seattle-Tacoma International Airport. Much like a piano-man in the rotunda or a fiddler in the Underground, Tomo collects his belongings, counts his earnings, and clocks out at the end of the shift. Throughout this process of returning, Nakayama’s 1st Act as an artist and musician (for more than 20 years as an acclaimed solo artist, frontman in Seattle chamber pop band Grand Hallway, supporting multi-instrumentalist to the likes of Jeremy Enigk of Sunny Day Real Estate, Sera Cahoone, and Gold Leaves, and as an actor in Lynn Shelton’s Sundance Grand Jury nominated film Touchy Feely, opposite Ellen Page) has now, in many ways, transformed to a state of second nature. The themes of Pieces of Sky (out 9/8/2017 on his own Ricebelly Music imprint) reflect a man existing somewhere between terminals, amongst the honeymooners, home-comers, mourners, and the endless hum of televised news. As thousands of passengers walk by, some give a gentle grin, some deliver offerings and accolades, some pass hurriedly as if Nakayama resembled a potted fern. But the fragments of Tomo’s music which manage to attach themselves all emit the same effect that Eno described in his own music — they induce a space to think. The sequencing of the album itself is a set of interval arrivals and departures for Nakayama as a songwriter and producer. The first track, “Bright and Blue” opens with an established voice and tone that the singer/songwriter has carved out over the last two decades – anchored confidently by his crystal-clear tenor and acoustic guitar, and synthesizers courtesy of frequent collaborator Yuuki Matthews (of the Shins). But the familiar folk tone of the vocals and instrumentation leave just enough of an opening for the album to begin its ascent into startling new territory. “Roma” expands on this idea as Tomo sings over a lushly arranged bed of piano, drum machine, and strings (inspired perhaps, by his fondness for like-minded genre-benders like Bjork, Arthur Russell, and Van Dyke Parks), pushing his voice to an urgent and vulnerable height until it feels like it might shatter through the cracks completely. 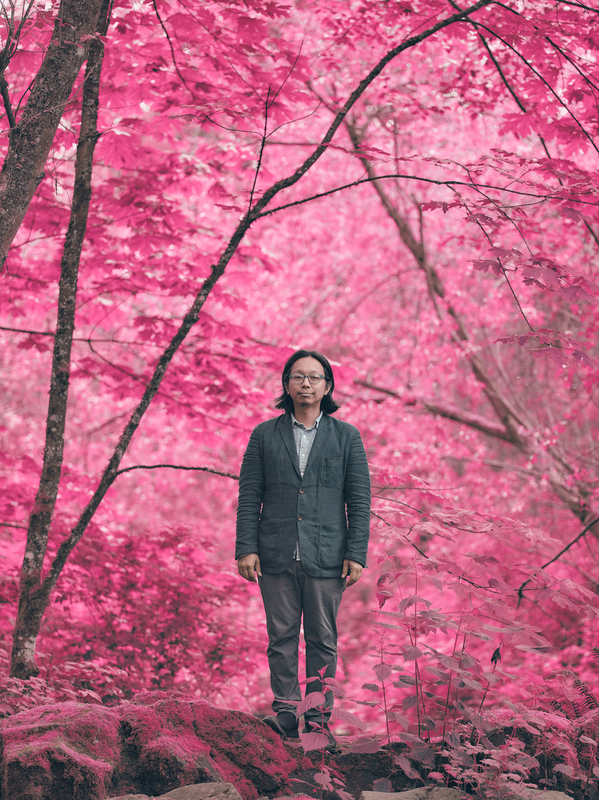 The Beatlesque single “Undying Light,” finds Nakayama exploring the parameters of relying on a single chord throughout the song, and the result is remarkably one of the songwriter’s most harmonically detailed and colorfully psychedelic compositions to date. The axis point of the album is the title track “Pieces of Sky,” which manages to embody all of Nakayama’s qualities as an artist up to this point — taking a complex subject and making it feel simple and tangible, while weaving intricate guitar patterns through an ethereal field. 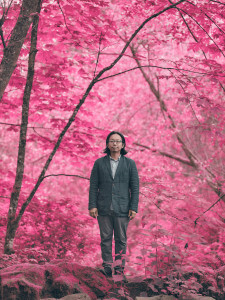 “Lately seems like the world’s on fire, lately feels like the truth don’t matter,” sings Nakayama, expressing the anxiety and helplessness of many a young parent, “All I care about is the kind of place we might leave for our sons and daughters.” From there, the album maintains this design of alternating from a foreign place to the familiar, but through the process of repeating, a sort of “stripping away” takes place and a new side of Nakayama emerges. The organic, acoustic textures continue to yield to electronic ambience, through the dream-pop realm of “Fourth of Julivar’s” and “I Will Not Be Moved” to the gentle expressions of love and devotion in the shoegaze ballads “Walking for Two” and “Make Me a Bird”, until you reach the final track “All Entwined,” ultimately leaving you with a sense of looking at the complicated world from somewhere high above, at zero gravity. 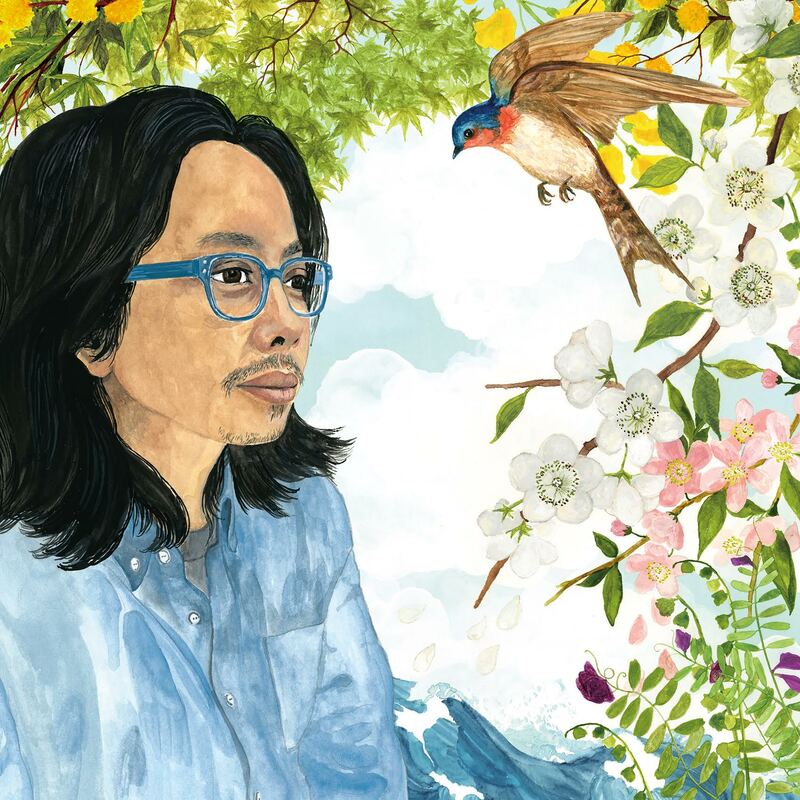 So now that Tomo Nakayama’s airport residency has come to pass and its effects have been printed on wax, the best listening experience of this album might be in some real or imagined take-off from the Earth’s surface, above the ominous clouds which may or may not ever reach down — in the aspirins of immaculate air. IMAGES: To download, click above. Photo credit to Ian Allen.